1) I have been taken through a mirrored reflection journey of the “knowledge” I already knew over many years, yet there has been a vast of new understandings and perspectives I have gained. 2) I have been provided a series of newly gained “knowledge” and can now apply this practical knowledge of the birthing basics into my current classes that I teach. 3) Most importantly, I have been able to take the steps of not only creating, but identifying a Childbirth Education Philosophy statement that has been a part of my childbirth educator journey for many years. I call this my “Childbirth Education Mission Statement”, which is to work collaboratively with customer owners to provide childbirth education options and decisions for their individual family needs. With the knowledge I have gained and the educational journey I have completed in this certificate program, I am excited to implement the additional knowledge into the childbirth classes that I teach. 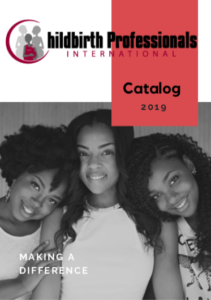 I am honored to have been a part of the Childbirth Professionals International – Childbirth Educator Certification Program and look forward to working further on other certifications offered. This entry was posted in Childbirth Education and tagged how to become birth educator, how to choose certification childbirth educator, lamaze or ICEA, review of childbirth educator program, which childbirth educator group to join, which childbirth educator organization is best, which organization to use for childbirth educator. Bookmark the permalink.